By Peter Anderson 23 Comments - The content of this website often contains affiliate links and I may be compensated if you buy through those links (at no cost to you!). Learn more about how we make money. Last edited December 5, 2018 . How Long Does it Take To Start Making Money With A Blog? Last time in the “Blueprint For How To Make Money With A Blog” series we looked at some hints to creating good content, ways to make sure your site has good SEO, and tips for promoting your content. This time, we'll look at how to monetize your site. When I first started blogging I had no idea how many different ways there are to make money from a blog. At the time Google Adsense was the only one I had ever used – and even with that I had never made more than a few dollars. Once my site started gaining traction, however, I found that there are literally thousands of ways to make money. Before we jump into the topic of how to monetize, I want to touch on the question I get most often from new bloggers. I can't give a hard and fast answer on that question, I can only tell you what my experience was. I started my blog in January of 2008, and at the time my only real monetization effort was the use of Google Adsense. My first month I made about $5 in Adsense clicks. My second and third months, just a little bit more. My fourth month I finally reached the payment threshold of $100. I've made enough to receive a check every month since. 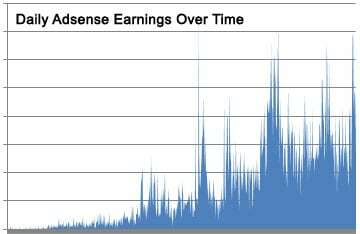 My site has shown consistent growth in Adsense income since then (see the chart below for the increase in daily earnings over the past 2 years – without actual numbers). My blog earnings from other sources have shown steady growth as well. In talking with other bloggers my sense is that most blogs don't start earning any real money until around 6-7 months. That's pretty close to what I experienced. Six months is also right about the time that most bloggers burn out and stop blogging altogether. So be encouraged. If you can stick with it past the 6th month, and you're doing the things it takes to succeed, you have a good chance of making some decent income from your blog. Just remember though, making money from a blog isn't rocket science, but it's also not easy. It's a lot of hard work. If you are offering advice on your site you'll probably also want to post a disclaimer that your advice is not to be taken as professional advice, and that the user should educate themselves before making any decisions. If you have advertising agreements or paid sponsorships you should disclose those agreements as well. You are now required by law to do that, according to the FTC. In general it's good practice to disclose affiliate agreements, sponsorships and other monetary arrangements on your posts, and on a policy page. Readers will trust you more if you do. Along those lines – I am disclosing right now that some of the links in this page are affiliate links, and we will receive income if you sign up through our links. We only promote affiliates that we believe in, however, and if you prefer you can always go directly to the sites for those companies and sign up directly. One thing you need to be careful of when monetizing your site is to make sure that ads don't overwhelm your site and harm the user experience. A lot of newer bloggers, overwhelmed by all of the advertising choices available will sign up for all of them at once and put them all up on every page. The problem with doing that is that the user experience on your site will now be diminished through the completely ad focused pages, the slower page load times (because of all the ads), and the annoyance for your readers caused by all the ads. It's important to balance your monetization of the site with a positive user experience. As such don't go signing up for everything all at once. Try out a few at a time, do some split testing to find out which ones perform the best, and keep the best ones live on your site. Remember, ad banners are only one avenue to creating income with your blog. There are a lot of different advertising companies, ad types and monetization models. You can have ad banner networks, affiliate networks, “get paid to (GPT)” sites, private ad sales, create your own products, sell a service, and more. So let's get started looking at some of the options. Pay per click ad networks are companies that pay you when people click on the ads on your site. The most prominent example of a PPC ad network is Google Adsense. The profitability that you have with your PPC ads depends on how much traffic your site generates, in addition to the click through rate (CTR) that you see for the ad units on your page. The CTR that your ads have will depend up on a variety of factors including how well the ads blend with your site, the ad's position on the page, and what topics you're writing about. The amount of money you make for every click on an ad will vary greatly as well depending upon the ad network, the niche of your site (some niches pay much better than others. The finance niche, for example, pays well while tech related niches don't pay as well per click) and where your users are coming from. Search engine visitors tend to be the ones who click on the most ads, so getting them to your site is key. Adsense: Adsense is my biggest source of blog income, as it is for most bloggers I've talked to. In general it accounts for about 1/2 to 2/3 of my income. Things to keep in mind with adsense? Never click on your own ads (that is called click fraud my friend), and never encourage others to click on your ads. If you get banned, you probably won't get back in. Chitika: I haven't used them, but I hear they are second only to Adsense in payouts for PPC ad networks. At some point Google declared that sites selling text links without the nofollow tag would be penalized (My site dropped from a PR5 to a PR3 after I sold text links. I have phased them out now). People purchase text links to artificially boost their backlinks, and in essence, game the google search engine. Getting links from a ton of sites with a decent page rank means you'll probably do better in the search rankings. Because the use of text links is essentially trying to “trick” the search engine, Google frowns upon them, and in the long run you'll most likely be penalized. If you want to chance it, you can probably find some companies out there that still pay for links – though I wouldn't recommend it. Selling your own advertising space can be a very lucrative monetization method, mainly because it allows you to cut out the middle man (third party ad networks) and keep 100% of all the money you make instead of just getting a commission from a network. Popular money making methods include banner ads, RSS feed ads, sponsored content and text link ads (which we've discussed above). Set up an advertise page to let advertisers know what options you offer, and to give some of your vital traffic stats, media mentions, etc. 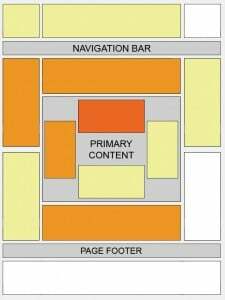 Banner sizes that are popular on blogs include 728×90 leaderboard, the 120×600 & 160×600 skyscrapers, the 300×250 rectangle and the 125×125 button. You may want to consider how you'll work these ad sizes into your design when you're putting it together. OIO Publisher Ad Platform: WordPress plugin that allows you to serve and track ad banner advertisements, text links and sponsored content. It also has a back end where you can send advertisers to pay for ads through PayPal, Google Checkout or other payment services. I use this plugin on several sites, and it works pretty well. Who Sees Ads? WordPress Ad Plugin: Plugin that allows you to do a variety of things with your ads on your site including showing them only to certain types of visitors, showing only on certain pages, and more. OpenX Ad Server: Open source ad server. The Ultimate Blogger’s Guide to Sponsored Content. Another great way to make money based on your traffic alone is through CPM ad networks. CPM networks are a lot like PPC networks, except in the fact that they don't pay you for clicks, but instead pay you each time their ad is served. CPM stands for “cost per thousand” impressions(M is the Roman numeral for 1,000) and is the standard way that CPM networks figure out how much they will pay. Networks will give you a CPM rate that you will be paid when you sign up. Some networks, like Adsdaq Ad Exchange, will allow you to set your own CPM rate. By way of example, let's say your site has a $1 CPM. If you serve 1000 impressions, you will receive $1, as long as the network purchases all your impressions (which rarely happens). CPM networks often won't sell 100% of your impressions, so it's good to have ads (like PPC google ads) to fill in as backup ads. Ad Thrive: My current highest paying network – with the best customer service. They do have a 100k page view/month minimum, however. Mediavine Another great network, with a 25k page view/month minimum. Media.net Another top tier network to try. Companies are more than willing to pay you if you can get someone to purchase their product. They'll either do a referral program through an affiliate network, or sometimes they'll have their own in house referral program. To participate you will usually write a post about a certain product that you use and like, put an affiliate link on your post, and when someone completes an action after clicking on the link or banner, you get paid. For example, one affiliate program I have on this site is for Michelle Schroeder-Gardner's affiliate marketing course. I paid for, use and believe in the product, and talk about it regularly in posts about how I make blogging income. On those posts I include my referral link. If someone signs up for the course, I get a 40% commission. If they don't complete an action, and don't sign up, I get nothing. A great tool for setting up all your affiliate links within your WordPress dashboard, and keeping them in a central location is the Pretty Link Pro WordPress plugin. It is a premium plugin, but if you're looking to make money with affiliates, it is a tool that I've found to be well worth the cost. Commission Junction: One of the biggest affiliate networks around, and probably the most popular. Find affiliate offers to promote from all types of categories. Flexoffers.com: One of my favorite affiliate networks, they consistently offer good payouts, and good companies to promote. My best paying affiliate network. Amazon Associates: If someone buys something after getting to Amazon through your link, you get a percentage of the sale. Works better for some blogs than others. Some of the links above are affiliate links, and we will receive a small referral fee if you sign up through our link. As always, we only promote affiliate programs that we actually believe in. There are quite a few sites out there that will pay you to fill out surveys, sign up for trial offers, buy products and refer new users to the programs. I've signed up for several of them, and found that the real money is to be made in referring new users. Here are a few of the ones I use most successfully. CashCrate.com: I regularly make $100+/month promoting this program with ad banners and an occasional post. Ebates.com: I haven't used this one as much, but you can earn money for referring people. SwagBucks.com: Get paid to fill out surveys, sign up for offers and refer users. The links above are affiliate links, and we will receive a small referral fee if you sign up through our link. As always, we only promote affiliate programs that we actually believe in. A lot of bloggers will diversify their income by creating their own products that they can sell on their site. Things like e-books, online classes, selling a service and membership websites have all become very popular. An e-book or online course: Write an e-book with some interesting content and then sell it on your site, and through affiliates. Design an e-course that people can take with video, text and workbook content. A service: Write for other sites for a fee, do graphic design, consult with other bloggers to optimize their blogs. Think of something you do well, and then do it for other people. Membership sites: Create a membership site where only paid members can participate. Example: Problogger.com community. Premium content: Some bloggers will have a variety of free content on their sites, and then give the option to pay to access their “premium content” which will often include exclusive guides, tools, one-on-one feedback and other subscriber only content. Donate button: Some bloggers will put a “donate now” button on their site, and ask users to donate if they enjoy the content. When you setup your ads the first go round, you're probably not going to have the optimal setup for monetization. You're going to want to do some testing to figure out the best configuration of ads for your site. Here are a few things that you can do to optimize your earnings, especially for adsense ads. For my site I've setup the section targeting to have the starting tag inserted before my post title, and the ending tag inserted after the page content (but before sidebars). For more details, check out the google help page on the topic. When you put adsense ads on your site, you don't want to just start putting ads everywhere willy nilly. You should carefully consider your ad placements, and do some testing to figure out what position works best for your site. Google has put out a heat map showing what ad positions traditionally do the best. You can find details here. For my site I've found that ads directly below the post title tend to do the best in terms of click through ratio. I have only 1-2 adsense ads per page at most, never more. Remember – what works for one site won't necessarily work for yours. Different ad colors and and text sizes will work better for different sites. Because of that you should set up split testing of your adsense ads to find out what colors, font sizes and ad sizes are most effective for your site. To find out a simple way to do this check out this tutorial on split testing adsense ads. You can also use an ad plugin like Who Sees Ads to do split testing of ads, as well as conditional display of ads to only certain types of visitors (like only search engine visitors). There are a variety of other ways that you can optimize your ads, and find the best ways to earn money for your site. The key is to test, test, and test. Test colors, ad sizes, ad placement, contexualization and anything else that you can think of that might affect your ads and their payouts. Google Analytics: One of the best tools that I've found in tracking what works and what doesn't when it comes to making money with my site is Google Analytics. You should install it as soon as you launch your site. Once you get an adsense account, make sure to link that with your analytics account. With Analytics and Adsense linked you can research what keywords are paying the best, optimize your post titles to target certain high paying keywords, and find out how people are getting to your site. Optimizing your content to tailor it towards search engine visitors is key. Analytics is key to finding out what works. Feedburner: Set up a custom RSS feed so that you can track the number of subcribers to your blog, have email delivery of your content available, publish your content to social media and more! Sitemeter: Another site analytics tool that a lot of bloggers use. I like to use their free version to figure out where my users are coming from, and to see what articles are popular on a given day. Google Webmaster Tools: Webmaster tools will help you in diagnosing a lot of problems with your site – and helps give you some insight into how Google views your site. You can find out if there are problems getting your site indexed, problems with 404 errors, etc. Stock.xchng: sxc.hu has some of the best free and royalty free stock images that you can search and use to add images to your post. I use it several times per week. Add Google Search To Your Blog: When you launch your site you should add a google search to your sidebar or header. The google search is far superior to the built in WordPress search – and you can sometimes make a little money with it when people click on ads. Crazy Egg: Supplement your analytics tools with some cool visuals including click heatmaps and click overlays for your site to help you see where people are looking and clicking. Google Reader: Sign up for a Google Reader account and start adding blogs in your niche to a named folder. Regularly reading other blogs in your niche can provide good inspiration, opportunities for networking, and more. Also add blogs in other niches, SEO blogs, and others to stay up on the most current information. Have your own blog or website tools that you'd suggest? Leave us a note in the comments! 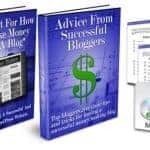 Over the past 2 years of blogging I've learned that it is possible to make a substantial amount of income from a blog. I've also learned that it isn't going to happen for everyone, and it won't be easy. It's not a get rich quick scheme where you can expect to make $10,000 a day in some pay per click Google scheme. It's a process where you work hard and do the right things over a long period of time, and if you stick to it you'll begin to see rewards after many months where you make next to nothing. Can you expect to be a problogger right away? Probably not. Can you create a site that will bring in some nice supplementary income? Sure. You just need to have a good work ethic, a will to learn things you don't already know, and you have to test, test and then test some more. Next in the series, I asked a bunch of successful bloggers what tips they would like to give to new or aspiring bloggers who would like to monetize their sites. We got a lot of great input, and I know it'll be extremely helpful, their responses even taught me a few things! Stay tuned! Have your own tips for making money with a blog? Have an ad network you think people should know about? Tips for optimizing ads? Helpful tools that people can use on their site? Leave us a note in the comments! Announcement: Blueprint For How To Make Money With A Blog E-book Is Now Available! Last Edited: 5th December 2018 The content of biblemoneymatters.com is for general information purposes only and does not constitute professional advice. Visitors to biblemoneymatters.com should not act upon the content or information without first seeking appropriate professional advice. In accordance with the latest FTC guidelines, we declare that we have a financial relationship with every company mentioned on this site. Wow, a lot of work went into this post – thanks! There are some advertising options in here that are new to me, too. I’d love to hear from other bloggers, too, about the growth curves experienced on their sites – my own adsense sounds like it started off just like yours in the first three months, but for me it took longer to reach the monthly minimum. Any suggestions on breaking through earning and traffic plateaus? Is it just a function of time? Really nice overview of monetizing a website! Again, I wish I had a resource like this when I started. I had to find bits and pieces all over the place! Any resources on marketplaces where advertisers are looking for blogs to buy ad space? 1. Building up lots of great content, and having them find you on their own. 3. Using the ad networks, affiliate networks, and other resources above to find advertisers. 4. Research other sites to see what advertisers they have on their site. Research the company and see if they have an advertising department, or PR group that handles advertising agreements. Thanks, reason I ask is I have a side movie website (themoviebanter.com for anyone who may be interested) which is in a very large niche and extremely difficult to get advertisers on a smaller level. This is beyond excellent! There are so many resources I have not heard of…thank you for sharing and compiling this information. Great job with this series. It’s definitely going to be one of my go-to resources to recommend to new bloggers once it’s all said and done. Thanks Mike! I appreciate it. That was my goal, to have a resource that I could point all the newer bloggers to, to get them going on starting their blog. I get a lot of email questions from people asking me how I make money from my blog, and I figured writing this series would make it a lot easier than writing a new email every time! As far as creating your own products, I agree that it is something that a lot of people don’t take advantage of. I’ve got some ideas that I hope to bring to fruition this year in that vein. Like all the other parts of this series, this is amazing. I have yet to do split testing, or any testing for that matter. Do you set up channels to determine which ads are being clicked? Evan´s last post ..What is the Estate Tax Trap High Net Worth Individuals Fall into? Yup, you set up channels within adsense to track specific ads, positions/etc. for example on my homepage right now i have a 160×600 in the left sidebar. It has two ads rotating with separate colorings that I’m testing. After I’ve tested them long enough to get some good data (a few thousand impressions) I’ll take the better performing one, and then possibly test it against another color scheme until i’m satisfied i have the best performing ad (with the most eye pleasing look). One stock photo place I found was http://www.photoxpress.com/, it offers 1 photo a day free, but if you become a Facebook fan and complete your profile info you can download 10 photos a day, and they are pretty nice photos. Good info, I can’t wait to start setting up some income stuff on my blog. Thanks for putting this series together. I am eating it up and looking forward to reading the advice of successful bloggers in part 4. Thanks for the terrific resource, Peter! There is so much to learn, I’m still overwhelmed. But I think that is part of the fun of blogging – at least it is for me. Awesome information, man. I just bookmarked 10 different sites for future references. Keep it up! Thank you for creating an excellent resource. Great no-nonsense series on how to get started with a blog. Very helpful. Thanks for good quality content Peter. I really enjoyed reading this post. It really gave me an idea of what i am doing wrong. stean to´s last post ..
Pete – great post and series. Just linked to this and did a mini intro to you and your site. My link is below my comment. I wish I had read about the text link ads earlier. I nearly caused myself some damage. It is not worth the risk. Somone | Thesis Theme HQ´s last post ..
Great advice! Hopefully I can use this information to make some money for myself online! Na-Na-Natalie´s last post ..How much can I earn taking MyView Surveys? Great roundup. I notice that you don’t mention Media.net anywhere in here. I’ve had great success with their CPC program which rivals Adsense if you can even believe it. They were bought out by Bing/Yahoo last year which obviously speaks to their size. It’s a lot more targeted than Chitika and their support representatives actually help you succeed as opposed to Google’s program. Definitely consider that one in the future. When I originally wrote this article I don’t think Media.net was nearly as big as they are now. I think the post needs to be updated for sure. :) Good recommendation. Next Post: Is There A “Good Reason” To Get Into Debt?